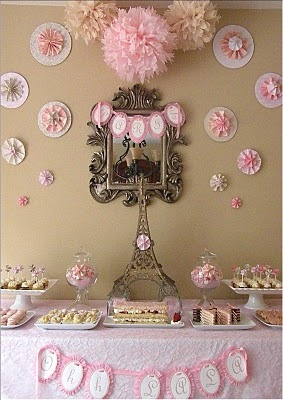 I'm sure there are more then a few girls whose hearts go pitter-patter over this 'springtime in Paris'-themed birthday! 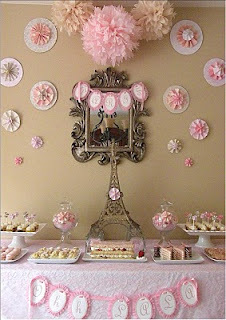 From Icing Designs. Oh my goodness...sooooooooooo cute! I love the cute Eiffel tower cookies! 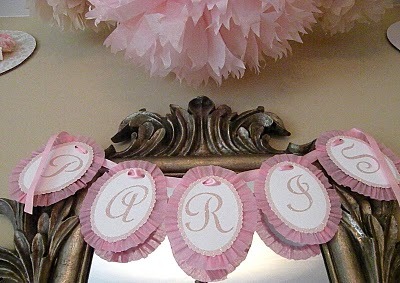 Check out the free giveaway on my blog, which ends Monday! 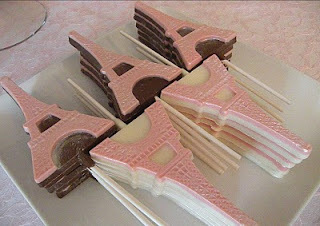 i want a set of those eiffel tower molds! beautiful! wow so elegant!! beautiful details.